In a dramatic shift away from their 15-year long commitment to the theme of "common but differentiated responsibilities,"EU nations have adopted a position very similar to the American notion that developing countries must commit to specific carbon reduction targets as part of the post-2012 Kyoto agreement. In a September 10, 08 ruling a British jury handed down a ruling that essentially encourages vandalism of the UKs coal-fueled power plants. A recent Ernst & Young study is stating that mandates for minimum levels of renewable energy will add as much as 20% — or over £ 200 (approx USD $395) — to annual electricity costs for each home. A February ’08 Financial Times/Harris Interactive poll has found that while many European and American adults are quick to claim that they support for green and renewable energy, when the costs of using that energy are revealed, support rapidly drops off. Depending on which scale or measurement is being used, the UKs carbon dioxide emissions are much better or much worse than their Kyoto requirements. Some sources (as well as opposition members in Parlaiment) are saying that the numbers the British Government are using to track its carbon dioxide emissions ignore entire sectors of the economy. They claim that when those sectors carbon dioxide emissions are added onto the UKs total emissions the optimistic reports of Brits having surpassed their Kyoto requirements are not quite accurate. The November 6th edition of the Globe & Mail’s Report on Business has an amusingly titled look into the changing preferences of European energy producers. As the price of oil and natural gas are currently going through the roof and giving no evidence that they will come back to earth in the future, Europeans are being forced to look elsewhere for affordable energy. The natural choice is, of course, coal. For Europeans, however, that can present a bit of a problem as their governments have spent the past few decades working to dismantle their coal industry. Therefore, European coal producers will face an uphill battle with stringent regulations, limited capacity, maturing pits and seams, and difficulty permitting new sources when they see a chance to expand production. When all of those pressures are piled on top of a strengthening Euro (relative to the U.S. dollar), one needs to look at which side of the ocean they have chosen to locate their offices to determine whether they are enjoying or cursing this trend. 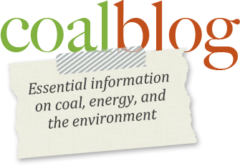 As the article describes, U.S. coal producers are happy to step up and help European power generators solve their fuel supply issues. Czech President, Vaclav Klaus, questions the conventional wisdom that anthropogenic causes are at the foundation of global climate change in this June 13th Financial Times editorial. Interestingly, he also questions the motivations of many of those who are striving to decrease carbon emissions.